On the outskirts of Penarth, in a delightful rural setting, sits the second oldest golf club in Wales, the Glamorganshire. 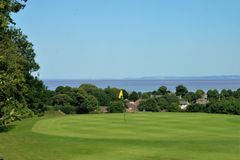 Although it is close to the coastline, the Glamorganshire is not a links course, but rather it is a charming parkland layout that is among the best in the Cardiff area. Founded in 1890, the Glamorganshire has a rich tradition, having hosted almost all of Welsh national amateur events, and while it is now considered too short for the highest profile events, it remains a real treasure. The delightful parkland course is a good test for golfers of all abilities, and is at the heart of a good golf tour around Cardiff.